Julie Frey of LongLife Therapeutics will be back on our sideline this season to help the Hustle excel at home. She has become a beloved member of our team. She deftly works, kneads, and stretches our athletes to keep them on the field in top form. This season Julie is going to have a massage chair setup at halftime for fans to come down and sample her top notch services. Hustle games can be nail biters. Let Julie work out some stress so you can do your best cheering in the 2nd half. 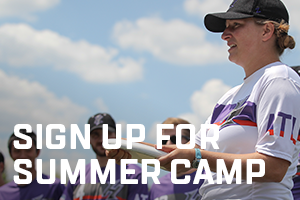 If you are an ultimate player we recommend you go see Julie before and after a tournament weekend. She can stretch and align your body to prepare you to compete at your best and then she can help you recovery so you are back to training sooner. Atlanta Hustle are a premier team in the AUDL South Division. Founded in 2015, we are dedicated to bringing the best pro ultimate experience to Atlanta.